This next dish can either make or break a roast dinner, seriously! 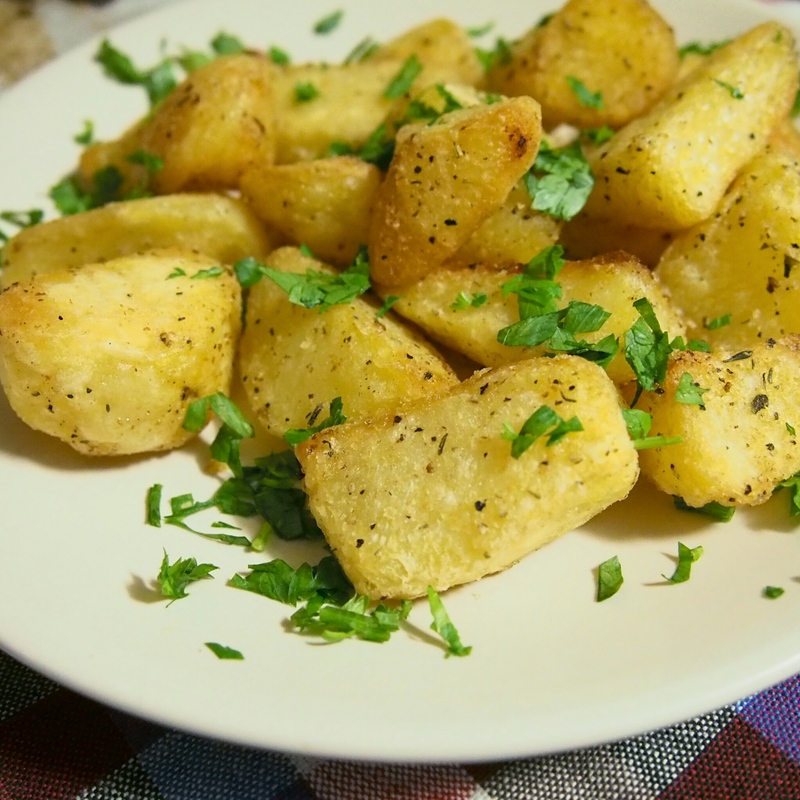 If the roasties are soggy, or under cooked or just glorified oily steamed potatoes it can really ruin my whole day. 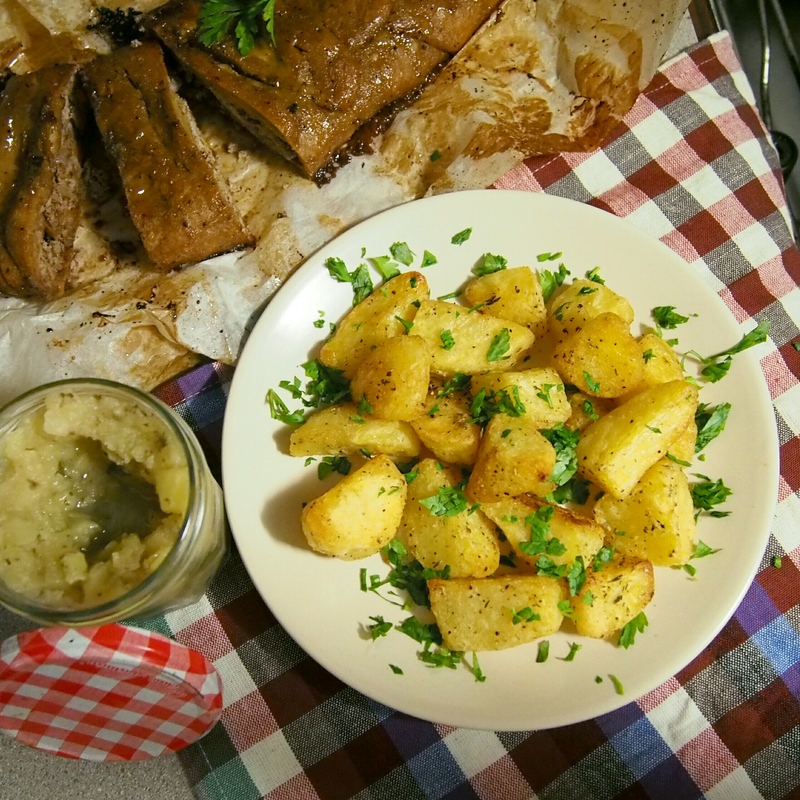 The art of roast dinners was something I learned from my granddad, and he taught me the trick to making the ‘perfect roasties’. He was undoubtedly the King of roast dinners, especially the roast potato part (not so much the overcooked vegetable part but I think that was a generation thing! ), he set the standard high so I knew what to aim for, and never settle for badly cooked potatoes! So this recipe is for him. Preheat the oven to 200°c. 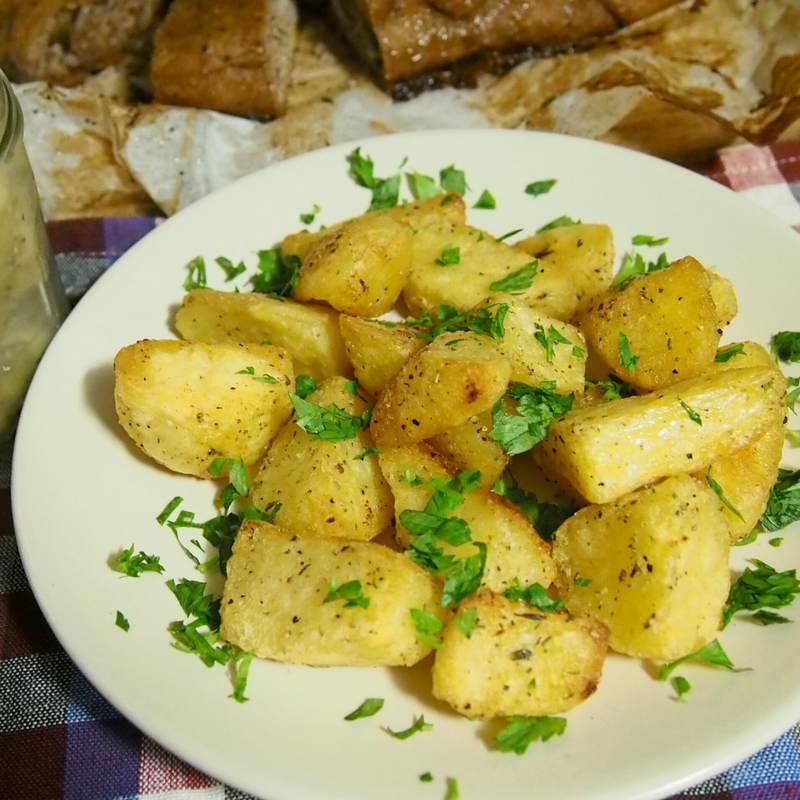 Peel and slice your potatoes into 1½- 2 inch pieces. Place potatoes in a saucepan and cover with water and a little salt and bring to the boil. Simmer for 8 minutes and drain into colander. Shake the potatoes around a bit inside the colander to fluff up the edges of the potatoes, let cool for 5 minutes or so then pour into a roasting tin. Add the olive oil, salt, pepper, rosemary and thyme to the roasting tine. Using a wooden spoon stir to coat potatoes, or if cool enough use your hands to massage the potatoes and coat well with oil and seasoning. Place in the preheated oven and roast for 30-40 minutes, turning halfway through. Cook until crispy, golden and delicious! Your potatoes look great. 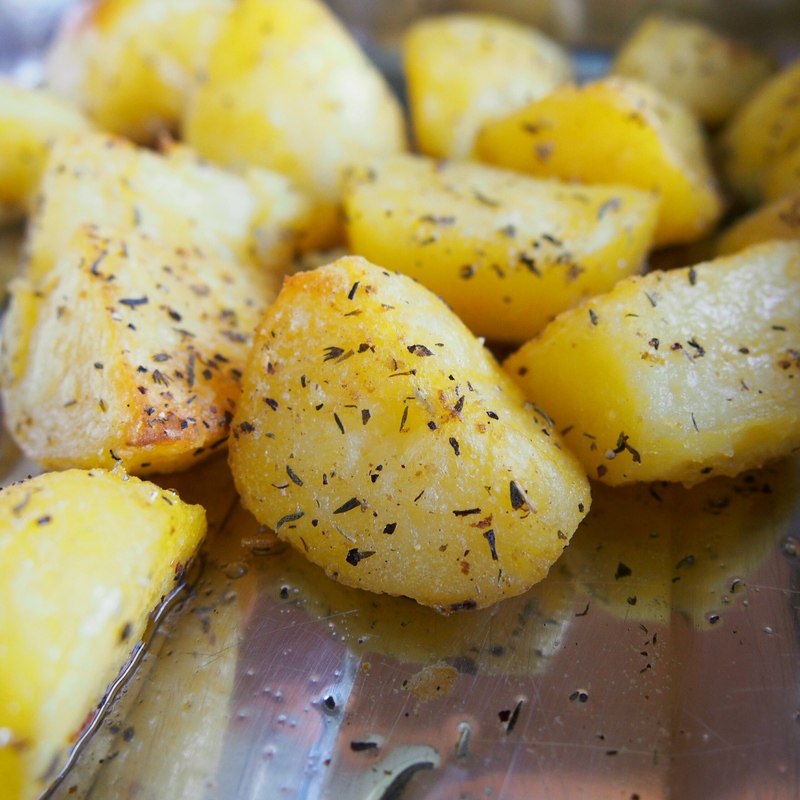 It’s the saddest thing when a roast comes with soggy potatoes.